Vanity tops are countertops that are installed in master bathrooms. They serve as an area for putting on make-up and styling hair. The vanity is often positioned between sinks, but it sits lower than the height of the sink tops. A typical vanity has space for a small stool or chair to be pulled up to make grooming and make-up application easy to accomplish, with a well-lighted mirror conveniently in front. Refinishing an acrylic vanity top usually means repainting the top to remove or cover stains. Refinish your acrylic vanity countertop with paint. 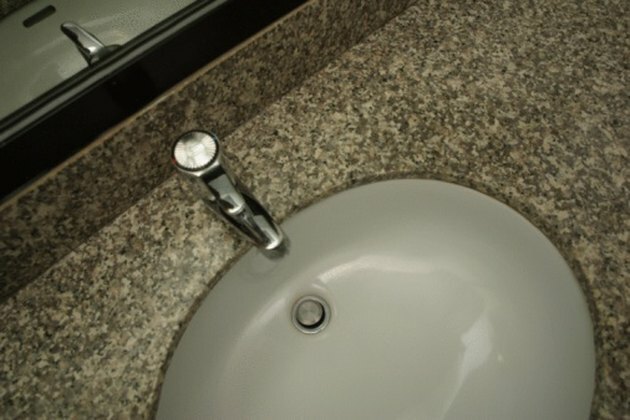 Remove everything from the vanity top and clean the surface with a degreaser. Wipe the surface with TSP (trisodium phosphate) and dry with a rag. Sand the surface in any areas that are uneven and go lightly over the whole vanity top to give the primer a better surface to adhere to. Wear safety goggles, a breathing mask and gloves. Tape off the walls and cabinets surrounding the vanity top using painter's tape and plastic sheeting. Wipe down the vanity top with a tack cloth to remove finger oils. Apply vinyl primer. Small vanity tops can be sprayed with a spray can. Hold the can 12 inches from the surface and spray in thin, even coats. Allow 20 minutes between coats. Spray a fleck-type acrylic paint to imitate a stone finish. 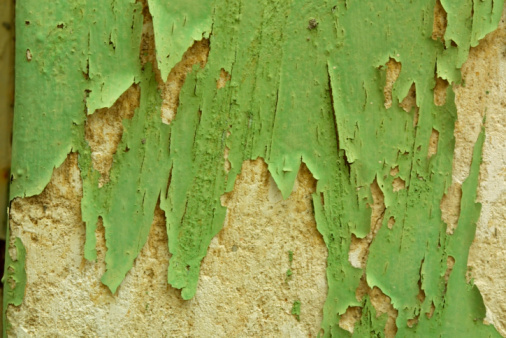 Ask an expert at the paint store for the correct product for the finish you want. Spray the finish over the primer in thin, even coats. You may need several coats to build up the depth of color that you want. Allow the paint to dry 20 minutes between coats. Finish with a non-yellowing acrylic clear coat. Use the same spraying techniques and make sure all of the products you use are designed to work together. This gives you the best results. Allow the vanity 24 hours to dry before removing the tape.